The North Cascades Ecosystem in Washington State is a big, wild place. It’s home to wolves and wolverines, salmon and beavers, and ancient, moss-covered temperate rainforest. It was also once home to our country’s icon of wilderness, the grizzly bear, and may be again, thanks to almost 30 years of advocacy by conservationists, wildlife biologists, local communities, and tribes. The National Park Service and US Fish & Wildlife Service are in the planning process to support Cascades grizzlies on their road to recovery. Biologists estimate there are likely fewer than a half-dozen grizzlies remaining in the entire North Cascades Grizzly Bear Recovery Zone, a sprawling network of contiguous wilderness areas and national forests anchored by North Cascades National Park in Washington State. At almost 10,000 square miles, the North Cascades Ecosystem is one of the best places in the US outside of Alaska to recover grizzlies. Long-time Wilburforce grantee Conservation Northwest has advocated for grizzly bear recovery since its founding in 1988. 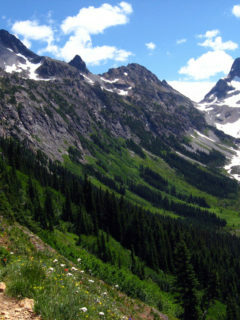 Conservation Northwest rests on the foundation of connecting large core habitats and restoring grizzly bears, wolves, fishers, and wolverines to the Cascades and the transboundary ecoregions of British Columbia and Washington – nature unrestrained by political borders. Conservation Northwest has developed pragmatic, bi-national approaches to conservation with colleagues in Canada in efforts to protect core habitats in British Columbia and connect them and their wildlife populations to those in Washington. 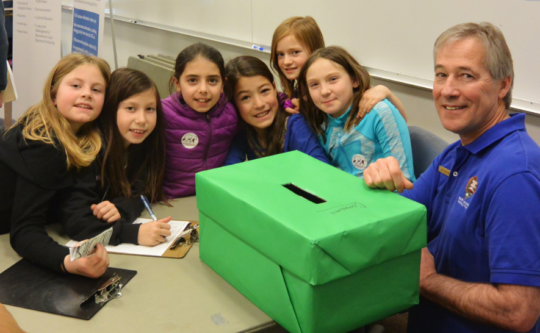 In 2010, Conservation Northwest began working with the St’at’imc First Nation communities around Lillooet, BC, partnering with their wildlife habitat connectivity programs. 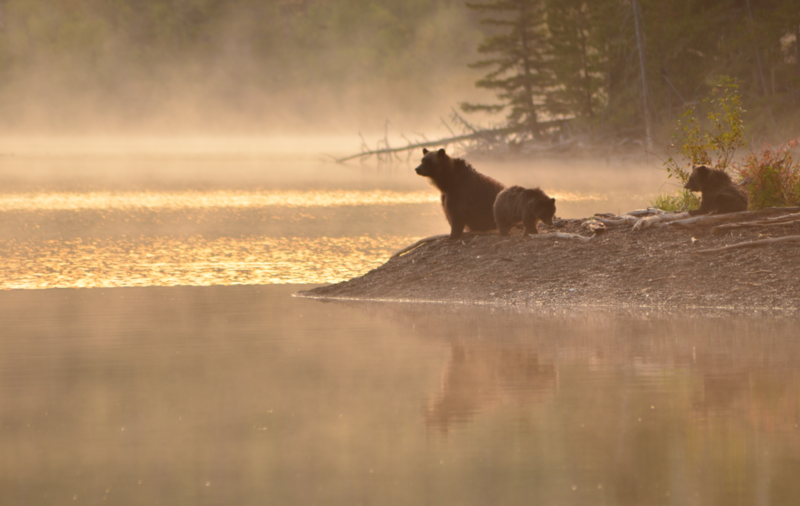 In 2013, they entered into the collaborative Coast to Cascades Grizzly Bear Initiative with local, regional, and national Canadian groups in the province to advance grizzly bear conservation. The initiative is now working in collaboration with a new coalition in Washington, the Friends of the North Cascades Grizzly Bear, which is seeking to recover the bears on the US side of the Cascades ecosystem. The goal is the same for both sides of the US/Canada border –to return healthy grizzly bear populations to their ancestral homelands where they are in real danger of disappearing. The needs and social dynamics in the two countries are very different. In BC there are more bears but the habitat threats are many and ongoing, with roads being the biggest concern. In Washington, the habitat is secure and dedicated to grizzly recovery, but there are very few bears. The reason North Cascades grizzlies haven’t recovered, despite an abundance of excellent habitat in the ecoregion: there aren’t enough grizzlies near the US border to reclaim their home in Washington. Polls and comments on early stages of the federal agency’s recovery process indicate the majority of people in Washington support and are excited about grizzly bear recovery. However, progress is challenged by people’s misunderstanding of bears and uncertainty about the government’s process. But Joe Scott is undeterred. 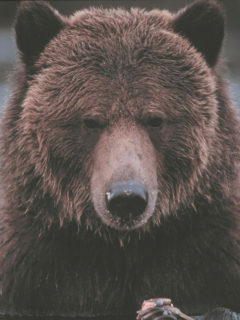 For more information on North Cascades Grizzly Bear Recovery visit Conservation Northwest’s website. For a deeper dive in the issue, watch this wonderful short film, “Time for the Grizzly?” by renowned ecologist and award-winning conservationist Chris Morgan about communities in the West that now co-exist with Grizzly Bears, and what this means for communities in Cascadia.